Neil McNeil of Balwearie High in Kirkcaldy warned the only way the school could make the £347,000 savings target imposed by Fife Council would be to move to a four and a half day week or reduce the number of subjects on offer. Mr McNeil said he wanted to avoid the second option “at all costs” and did not want to offer it as a solution. 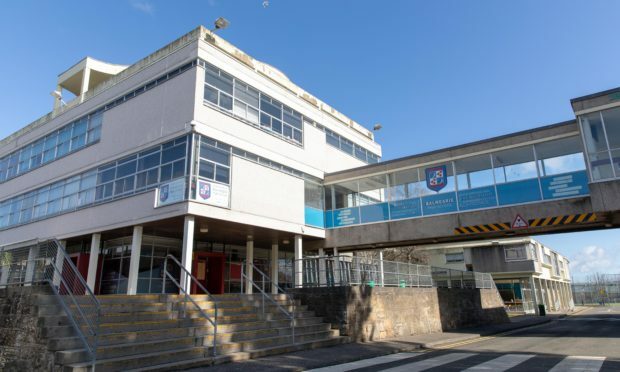 The number of promoted staff working within the school will also be cut as Balwearie struggles with the reduction in funding over the next two years. Parents have described the move as regrettable and unfortunate. Nina Lunzar, chairperson of Balwearie’s Parent Voice, said: “Mr McNeil is between a rock and a hard place. “The options available to him to meet the funding gap imposed by the council are basically a shorter school week or reduce subject choices for pupils. The school is the fourth in Fife to propose cutting the school week following budget cuts, with St Columbas RC High in Dunfermline, Madras College in St Andrews and Waid Academy in Anstruther all drawing up similar plans. In a letter to parents, Mr McNeil said additional measures were needed to meet the required savings and the school timetable was being looked at in an effort to minimise the impact on the curriculum and teaching and learning. “The only alternative…would be to reduce the number of subjects on offer to pupils resulting in a limited amount of choice within the curriculum with possible consequences for future career pathways,” he said. Mid Scotland and Fife Labour MSP Claire Baker said schools were facing significant budget cuts. “It is concerning the headteacher is having to choose between restricting the curriculum and cutting the school week,” she said. Fife Council’s education and children’s services convener, SNP councillor Fay Sinclair, said Balwearie’s plans included removing registration periods which would actually increase teaching time. “Schools in Fife are able to tailor the school day to meet the specific requirements of the school community,” she said.